﻿ Eminence Fizzofoliant Review: Does It Provide The Necessary Benefits? 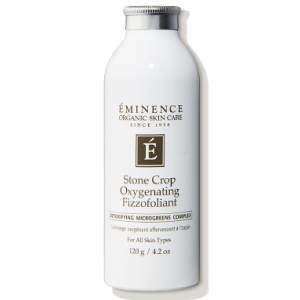 Eminence Stone Crop Oxygenating Fizzofoliant is a powder-to-foam exfoliant that uses microgreens and other effective ingredients in infusing a youthful glow and radiant complexion to the skin. It also gives off a light fizzing action upon application that helps to remove the impurities in the skin surface for a more beautiful and brighter complexion. Read this Eminence Fizzofoliant Review and know all the details about this product! Eminence Organics was established in1958. Since their time of inception, they have been employing ethically sound green and farming practices to formulate and develop natural, organic and highly effective skin care products. All of their ingredients are meticulously picked by skin care experts to ensure their product’s effectiveness and quality. For best results, dispense the fizzfoliant to your palm, add a half teaspoon of water then rub your hands to form a foam. 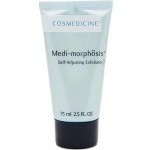 Apply it to the face using gentle circular motions, avoiding the eye area. Rinse it well with water after a few minutes. You can use it as a softening treatment or as a degreasing treatment before a peel. A 4.2 oz (120 g) bottle of Eminence Stone Crop Oxygenating Fizzofoliant costs USD 52 in the official Eminence Organic Skincare website. You can also purchase it from reseller sites. Stone Crop: This reduces skin redness. It also brightens and revitalizes the skin and gives it a youthful glow. Rice: This can refine the skin texture by buffing and smoothening it. Adzuki Powder: This delivers gentle exfoliation to brighten the skin. Detoxifying Microgreens Complex: This contains a good blend of microgreens which can protect the skin from environmental damage and free radicals. 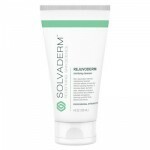 The exfoliant is free of soy and nuts. This fizzfoliant is formulated for prevention of free radical damage. The product is natural and certified organic and cruelty-free. The exfoliant is more expensive than other brands. There are no clinical studies that can support the product’s claims. The product does not have many reviews. There is no doubt that Eminence Organic Skin Care has perfected their natural and chemical-free formulations and this fizzfoliant is one proof of that. However, this product of there is quite pricey for an exfoliant. 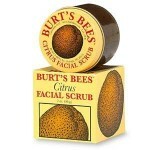 There are plenty of exfoliants out there that are much affordable than this one. In addition to that, there are no studies and reviews that will tell us how this product really works. 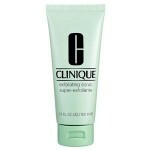 We recommend that you continue your search for an affordable exfoliant that is already widely recognized in the market. The purchase of Eminence Stone Crop Oxygenating Fizzofoliant is covered by the company’s return policy. Defective or spoiled products can be returned within 12 months after the purchase date while products damaged during shipping must be returned 15 days after the date of purchase.